As a minimalist and a full-time traveler, I'm always on the hunt for stellar multi-function pieces. 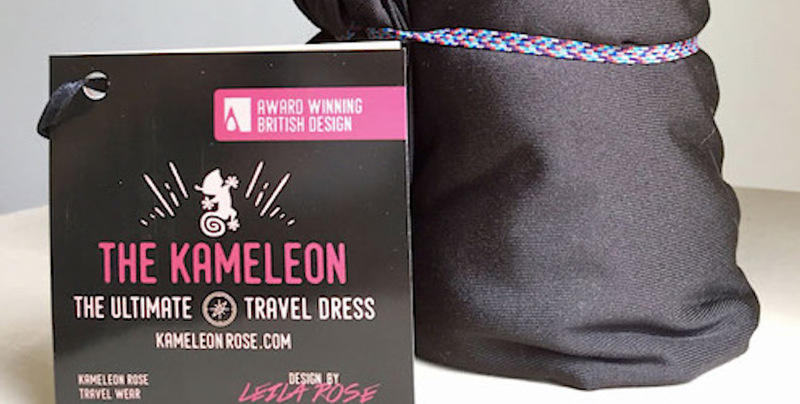 Recently I came across the Ultimate Travel Dress which checked all of my boxes so I definitely had to try it out! This post brought to you by Kameleon Rose who also provided complimentary product. See disclosure for more. The fabric is a ultra soft, silky smooth, cool to the touch, sustainable polyester material that is both crease-resistant and quick drying. Great for everything from packing to wearing to drying. Easy breezy. It comes with an attached elastic band so you can roll up the dress and snap the band around it. It's lightweight, easy to pack and fit in your bag. It's even smaller in length and width than an iPad mini. 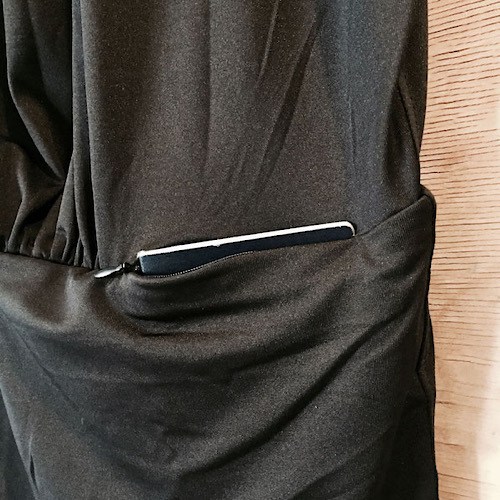 There's a secret pocket in the dress that is large enough to hold a passport, phone, cards and keys. 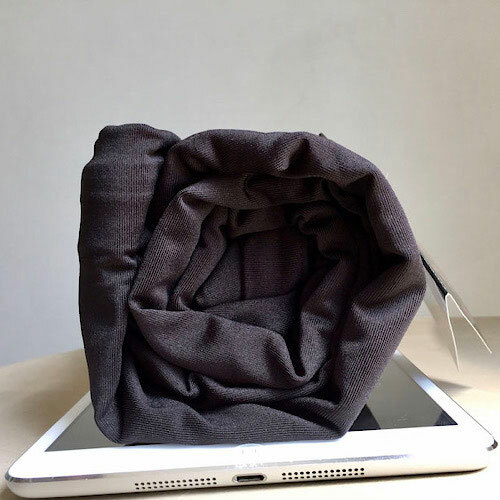 It's smartly hidden into the seam of the fabric and not even noticeable when full. No thief would ever recognize it or even know to look for it, so you're essentially theft-proof. And no matter which direction you flip or wear the dress, the pocket easily flips upright, ready to use. The dress is extremely versatile since it can be worn a variety of ways... 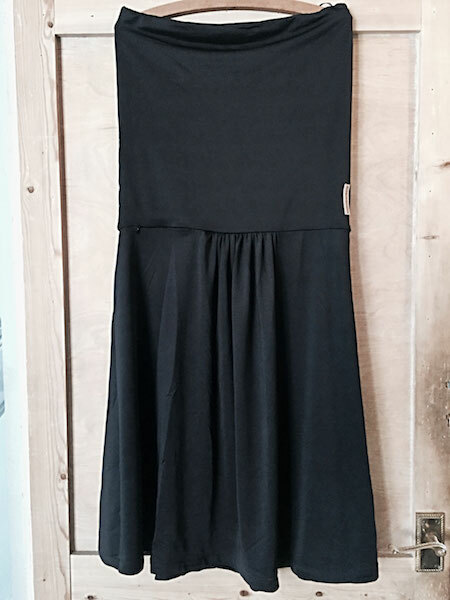 It's a dress with flowy skirt or a miniskirt, a halter dress or top, an off the shoulder dress or top, a blouse, a short skirt, a long skirt, shorts, baggy harem pants, a beach coverup, a shawl, a scarf, or any other combination you can create and assemble with the easy to use buttons! With this one piece in your wardrobe, you really don't need that much else. It can be mixed and matched and combined with leggings or jeans or a classic jacket. Your imagination's the limit! 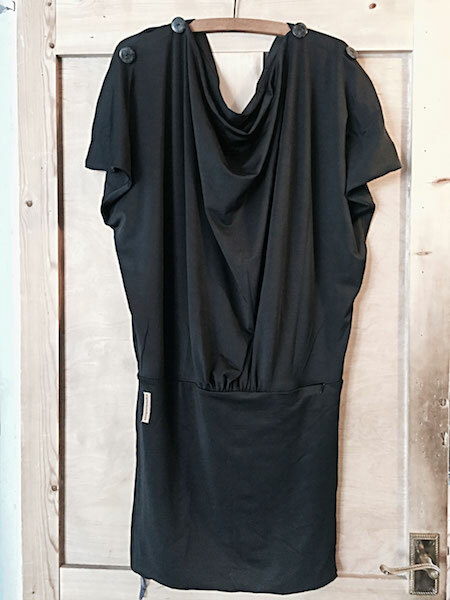 This one dress could turn your project 333 minimalist wardrobe into a project 3 wardrobe! 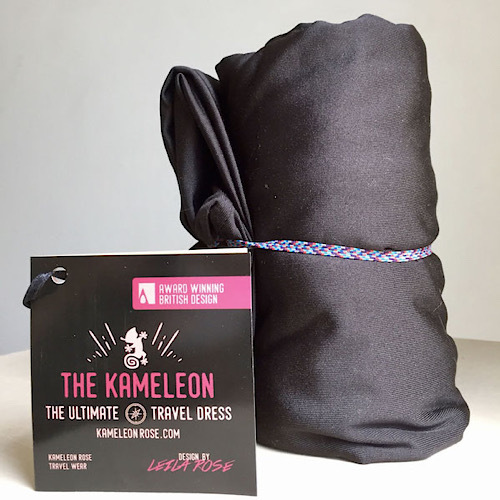 Head over to Kameleon Rose and grab one of your own! Just choose your color! And don't forget to check out all the other cool gear, especially the Ultimate Travel Pants.